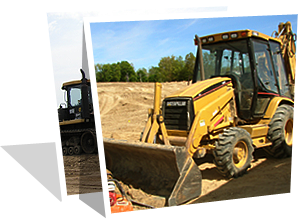 Residential excavating consists of basement and crawl space excavations for new homes and for additions, driveways, septic systems (new and repairs), delivery of aggregate materials (see product listing below), pole barn preps, land clearing, digging ponds, demolition projects, and much more. Whatever your project, big or small, we are here to serve you! 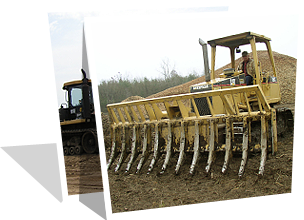 Agricultural excavating projects consist of land clearing, brush raking, stump grinding (larger areas), land leveling, digging ponds, field tiling using GPS automated technology, ditching, irrigation main line installation, building pad preps, foundation excavations, roadway and parking lot installations, and much more. We also offer specialized services for the blueberry industry including marking straight row with precise row spacing using GPS autosteer technology, shaping raised beds, installing drip irrigation (one or two line) in the raised beds, installing geotextile fabric (weed mat) over the raised beds, and much more. Please call or email us to learn more about how Remington Excavating can help you GROW your business! We offer numerous versions of sand including fill sand, beach sand, class II fill, mason sand, and 2NS washed sand. Our gravel products include bank run, 22-A stabilizer gravel (same as the gravel County roads), 23-A (22-A with more clay), 21-AA 90% plus crushed gravel, and others. We also offer recycled materials including asphalt millings and crushed concrete. Our washed stone options include pea stone, septic stone, 6A stone, landscaping stone or river rock, and more. Field stones and boulders are also available. Our topsoil products include unscreened topsoil, screened topsoil (rocks, sticks, and vegetation removed), black pond muck, and peat. We also offer screening and blending at your location with our portable trommel screen with on-board conveyors. 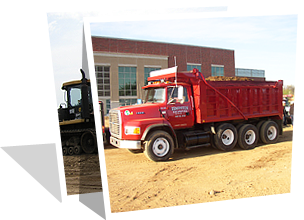 Commercial excavating consists of completing the site work portion of projects including clearing, demolition, earthwork, storm installation, water main installation, and sanitary installation. 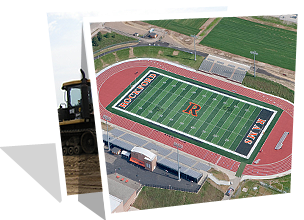 The majority of our commercial work is on school projects and our specialty is the construction of athletic tracks and fields. Our company has built numerous football, soccer, baseball, and softball fields – Company History. We get excited about overcoming the challenges associated with tight grading tolerances!